When you are traveling and living out of your backpack, you may find yourself using planes, trains, or automobiles. How do you protect your pack? 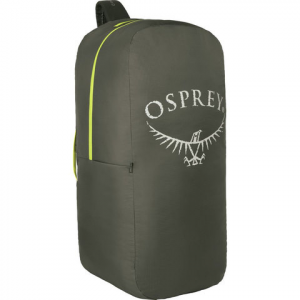 Simply drop your pack into the Osprey Airporter to safeguard your straps and buckles. When you get to where you are going pull out your backpack and stash the Airporter into its built in pocket. And don't worry it comes in small, medium and large for any size luggage. Don't forget, those aren't pillows.